Fly into the darkness with these batty gloves. Oh, and if you need to give anyone the middle finger we got that covered too. 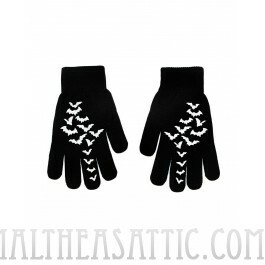 Flying bats printed on hands.